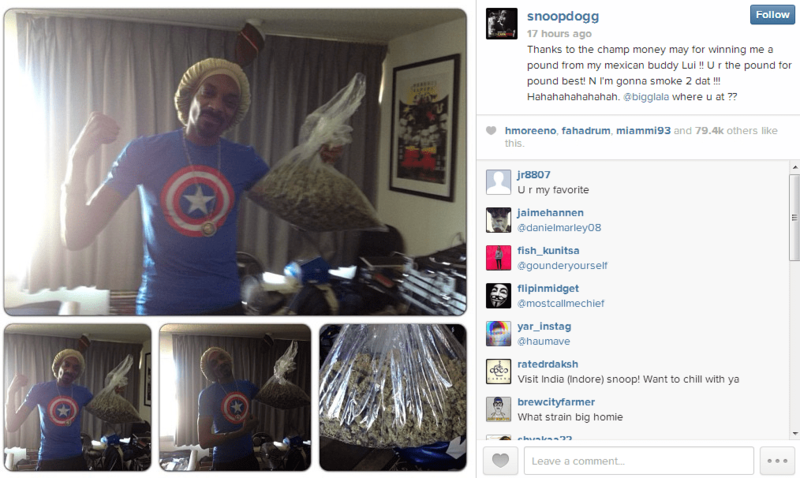 Snoop Lion is still high off his fight night winnings… literally. Uncle Snoop won a pound of weed in a bet against a Mexican man named Lui after Floyd Mayweather won his fight against Canelo Alvarex this past weekend. Hopefully Snoop does not get too lifted since he is hosting the BET Hip Hop Awards at Atlanta Civic Center on September 28, which is a little over a week away. Wiz Khalifa Says He Spends About $10,000 A Month In Weed!! BET Hip Hop Awards 2014 Air Tonight on BET! [====Blackplanet.m0bi====], It is really a funny and interesting place to date attractive girls or hot guys. Many hot videos and photos at this site, you can enjoy latest interesting videos or talk about hot topic with other friends.